Weekly mowing beginning in mid-March and extending until the end of October. Two mowings in November on two week intervals. A mowing in February and several weeks later in early March. This schedule works pretty well most of the time. 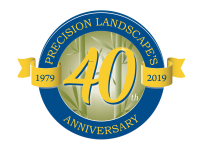 Some companies do a few more cuttings than this but that primarily suits their schedule more than the needs of the lawn. We do offer an alternate semi-monthly schedule for those who prefer it. However, we don’t promote this schedule due to poor results. The lawn will typically thin out and look sparse. Refer to how often should my lawn be mowed section below for an explanation. Semi-monthly mowing does reduce the cost by perhaps a third. The grass tends to grow taller between cuttings and so each mowing takes longer than the weekly schedule. The traditional answer says a lawn should be mowed when one third of the height will be removed in the cutting. Thus if the lawn mower is set for a two inch height, the lawn should be cut when it is three inches tall. Although this is great in theory, it really doesn’t work for a professional service. We have to come on a systematic basis which generally translates to weekly visits during the growing season. Mowing height dramatically affects turf density as well. Think of a plush carpet as opposed to the old shag rug of the 1960’s. Which density would you prefer in your lawn? More frequent lawn mowing causes the individual grass plants to ‘tiller’ more. That is, they grow more side shoots which in turn results in more grass blades per square inch. Thus the lawn looks more plush—a highly desirable affect. This explains why a well cared for lawn commonly looks at its best during the summer months when the grass is growing slower. Why does my lawn grow so tall between cuttings? Grass grows tall between mowing for several reasons. During wet and warm spring months grass normally grows fast. It is trying to produce seed at this time and you may even see stems form. This passes after a few weeks. 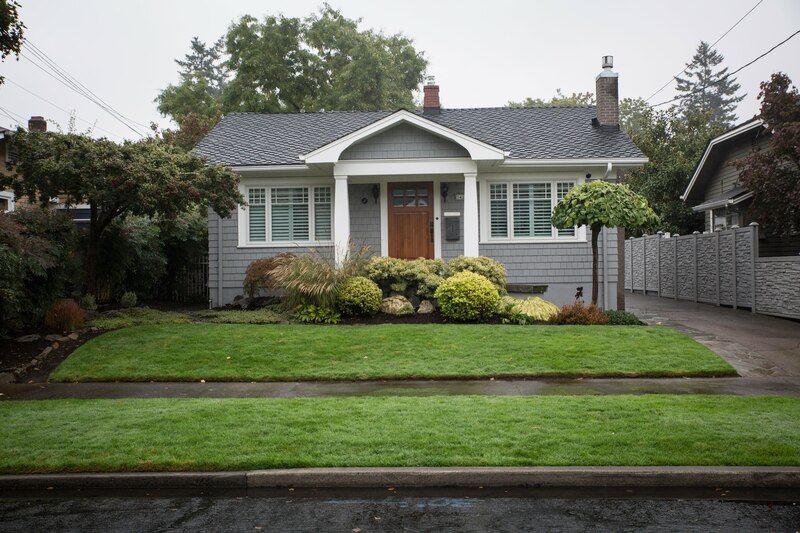 Excess fertilizer makes a lawn grow too quickly. Too much fertilizer in spring months results in a double whammy and actually hurts the grass plants a little. Mowing removes too much top growth and leaves the lawn looking a yellow-green color. Note: Hitting the exact correct amount of fertilizer each time is very difficult. Too much and the grass grows excessively. Too little and the grass lacks the deep green color we strive for. A light monthly spoon feeding produces the most manageable results. If you have opted for a semi-monthly mowing program, your lawn will become tall between mowing, especially in the spring months. Expect it. Do you come on the same day each week? Yes, we do our best to come on the same day of each week, especially during the main part of the season when we mow weekly. During the winter months we may sometimes come on other days. Good question and a difficult one to answer. As you know it only rains at night and on the weekends in Oregon. Yeah right. If we didn’t work when it rained, there could be no landscapers in Oregon. Think about it. We have to work in the rain. But when it rains a lot the soil may become soft. In this case we could damage the lawn by working on it. In this situation we try to avoid mowing. It’s a judgment call that the crew leader has to make. If the grass becomes excessively tall, we may occasionally use a string trimmer to cut the grass. We do not credit back for missed mowings. This may surprise you but think about it. Typically we will have made a trip out to your site, probably unloaded equipment, and began working. Only then do we realize that the grass should not be cut. Often some areas can be cut whereas others cannot. We cut what we can. Lastly, and very importantly—when we do cut the lawn it will take longer because it has grown taller. We feel that this is fair and it all balances out in the end. How often do you edge the lawn? Most people are happy with edging every two weeks. However, if you prefer weekly edging we will be glad to do so. Lawns don’t grow as quickly during cooler weather. When it freezes growth stops entirely. Therefore we don’t mow as often in the winter. Please see What is Your Mowing Schedule on this page. If you have opted for a fixed monthly payment plan, your monthly fee will be the same even though we may do less work in the winter. Also, there may be other services such as pruning that take much longer and are typically done in a single visit. Please see Contract Options for a better explanation. Do you blow off pavements after mowing? Yes, we routinely blow off pavements after mowing the lawn. Often we also blow off the entire driveway and patio as well. Please advise us of any special needs. I don’t water my lawn. Can you skip mowing after it dries out? Sorry but we just cannot do that. Our crews work full time and need a consistent pay check to feed their families. What does a typical mowing and edging service include? Commonly known as “Mow and blow”, this service includes mowing the lawn, optionally edging the lawn, and finishing off by blowing off any debris. Hence the term—mow and blow. Whenever possible we vary the mowing pattern. The gives a bit of variety in appearance but more importantly it helps to avoid making ruts. We will vary the height of the cut seasonally for optimal health and appearance. Generally we will cut the lawn short early in the season and then let it gradually get taller especially during hot summer months. Then sometime in the fall we cut the grass a little shorter before going into winter. Do you provide one time mowing or vacation mowing? Sorry, but generally not. We focus on routine ongoing service. We might make an exception if you live next to an existing customer and if the crew has time for the extra job. Typically the work would be invoiced on a labor and materials basis and no estimate will be given. What if I only need regular mowing? 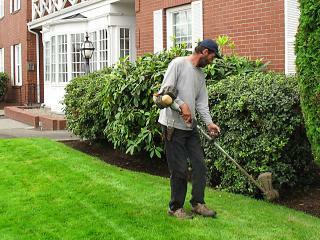 Generally we do not provide mowing only service because the work is so seasonal. We try to keep our employees working year round and succeed for the most part. There are many people who do provide mowing only. Sometimes we do make exceptions such as if you live next to an existing customer. When we do this work, you will usually be invoiced for each mowing.